Play Jacks or Better online for free now! Fancy a quick game of poker? 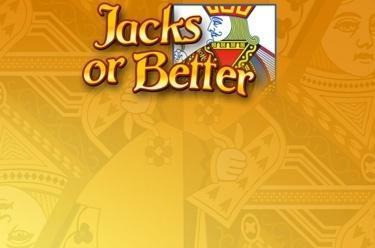 Jacks or Better is a video poker game where you can win with a simple pair - all you need are 2 Jacks, 2 Queens, 2 Kings or 2 Aces! Of course all the higher hands are also valid at Jacks or Better! Like with all video poker games you can swap cards after the cards are first dealt.